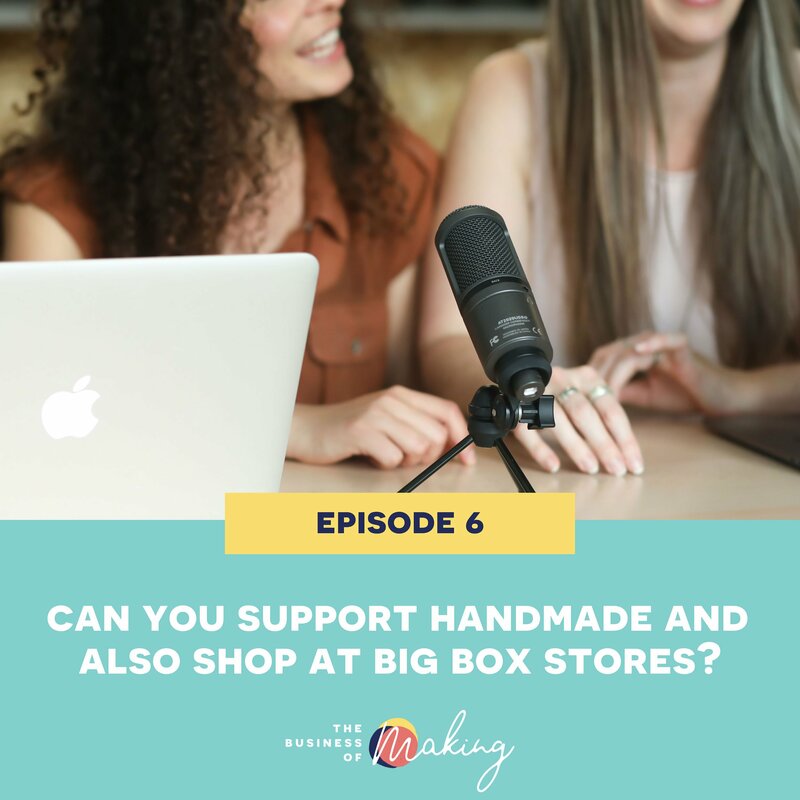 6: Can you support handmade and also shop at Big Box stores? Can you *really* be a supporter of handmade, if you also shop at Big Box stores like Kmart, Target and the like? In today’s episode we chat about the concept of support, what that means to each of us and how judgement from others has perhaps made us a little ranty on this particular subject (*ahem* Mikaela…). We also talk about ethics and how much you should push or educate your peers to buy ethically, and we touch briefly on the concept of scarcity mindset – which will be covered more in-depth in a future episode! We’d love to know where you stand on this issue (and welcome differing viewpoints! ), so make sure you let us know your thoughts after listening to this weeks episode. When we’re talking about Big box stores, we mean stores that are a franchise or chain, perhaps in a shopping centre, or have ridiculously cheap things to sell. There is an argument going around as to whether or not you should shop at big box stores if handmade is important to you. Is this a black or white thing or is there a grey area we can look into? Whether or not you can be supportive of handmade or small businesses even if you shop at target or other big box stores? Make sure you jump over to our Facebook group and let us know what you think about the episode!